Recently as I was reading the nonfiction book Lincoln’s Gamble I noted an unusual disclosure in author Todd Brewster’s notes on sources at the back of the book. 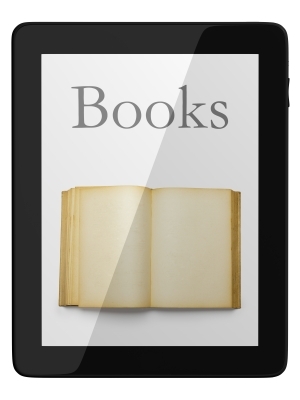 As ebooks become more commonplace, there is a whole spectrum of changes in how readers and indie authors refer to books. “I read that book cover to cover!” Well, what if a book has no covers? Will that phrase-of-praise be replaced with something like, “I read it 0-to-100 percent”? Not as catchy, perhaps. “What a page-turner!” But no pages are “turned” in ebooks. Swiped, perhaps, or scrolled, maybe. “It’s a real page-swiper” doesn’t have the same cachet. Referring to someone as “an open book” doesn’t seem to work as well anymore, nor does “throwing the book” at someone. And if your indie author book collection is in your Kindle, is it still really possible to “have your nose in book”? Or to “crack a book”? Are the days of “judging a book by its cover” over? And when visitors come to your home, does it matter that your “library” is now in a device on your nightstand? And .. what is to become of the bookmark industry? Will this spell the end of those colorful, glossy, beaded, betassled, glow-in-the-dark bookmarks sold on revolving carousels at Barnes & Noble?